2 What Causes Anxiety after Eating? 3 Which Foods Trigger Anxiety? 4 What Can You Eat to Avoid Anxiety? Eating is one of life’s best and simplest pleasures. But what if it gives you a feeling of anxiety? Are you afraid of eating because it gives you anxiety and panic attacks? A person may feel anxious at any moment, sometimes regularly and sometimes without any explanation why. One of the unexplained anxieties is anxiety after eating. Surprisingly, many people develop a great deal of anxiety, sometimes even a full-blown attack, after eating. This can be related to many things, for example to the physical condition or to the eaten foods. Find YOUR way to curb anxiety here! Aside from hyperventilation and anxiety, eating also causes chest pain. The feeling of being full while the food gets lodged from the chest to its way down leads to minor chest pain. Blood sugar spikes after eating plenty of carbohydrates do harm for both heart and veins. Blood sugar spikes actually destroy the lining of arteries, slowly destroying the surface as the spikes occur regularly, finally resulting to clogged arteries and heart attacks. In this case, chest pain is a serious thing. In any case, reducing sugar — or preferably quitting sugar completely — is beneficial for everybody as sugar is in the end pretty toxic substance and completely without nutrients. Did you know that you don’t need any carbs from food, your body can make all the glucose it needs by itself? And yet we are recommended to get most of the daily energy from carbs! Therefore, following the official dietary recommendations is a sure way to get ill.
Certain kinds of food triggers heart palpitations, where you experience a rapid heartbeat and the feeling of skipping heartbeats. Some doctors theorize that carbohydrates, and sugars in general, cause palpitations, but this is not yet widely understood and it is not clear why people are only affected by it on some days. In any case, if you eat meal rich in carbohydrates (=sugars), you’ll get a huge insulin spike which is harmful for your body in several different ways. Eating carbohydrate-rich meals several times per day (even they are just snacks), will eventually lead into health problems such as obesity, metabolic syndrome and non-alcoholic fatty liver. Indigestion can occur once you start eating, and causes bloating, stomach discomfort, chest pains, and stomach pains which all lead to or trigger anxiety. Also, some experts say that anxiety causes poor digestion of food which leads to indigestion. It’s a very individual thing which foods might cause indigestion, but gluten and cereals are one of the most commonly intolerable foods. Also dairy products cause problems to some people. One way to reduce indigestion is to remember to chew the food properly and eat slowly. What Causes Anxiety after Eating? Some experts say that anxiety is caused by the gut. The balance of bacteria in the gut has a lot to do with mood changes which can vary from ADHD to depression and anxiety. The gut has a wide variety of functions such as hormones, nerve functions, and neurotransmitters that affect how the whole body feels. Even serotonin, the hormone responsible for happiness and improved mood, is related to the gut and anxiety. No wonder, since it’s your gut that produces serotonin! But how does the gut cause anxiety? After eating, the gut has to handle and digest the food you have been eating. In some cases that causes the mind to experience anxiety. Therefore, it is important to eat healthy foods when you’re known to feel anxiety. This supports the saying, “the healthier you are, the happier you are”, and you will also have less anxiety. Avoid sugar and starches which feed the bad bacteria, and add fermented foods like sauerkraut, kefir and yogurt to your diet to make the good bacteria thrive. The microbiome is a very complex environment. Using wide range probiotics can also help. People with anxiety disorder also suffer from gastroesophagal reflux, also commonly known as heartburn. This happens when the stomach produces too much acid that moves up through the esophagus and results in many health problems such as gas/bloating, stomach discomfort, and breathing difficulties. Finding the right diet helps tremendously to fight acid reflux. Again, drop the sugar, starches and grains from your diet. It might be a good idea to go dairy-free, too. Eat only clean food, as processed food is a sure-wire way to get acid reflux! When you are overweight and you eat a big amount of food, your own feelings about your weight and diet can give you a feeling of anxiety. Usually, people who worry about their weight and diet binge eat, and as a result they feel the anxiety after eating. Also anorectic people feel guilty and anxious after eating, no matter how small portion they eat. Nowadays obesity is often caused by excess amounts of carbohydrates. Even “healthy” foods contain lots of carbs which eventually turn into fat — especially into that dangerous visceral fat that can cause heart disease. Even if you don’t overeat but you are sensitive to carbs, you will turn obese if you eat “balanced diet” which is officially recommended. This “balanced diet” simply contains too much carbs with its fruits and whole grain products, and too little fats (your body hates those vegetable fats which are recommended!). Did you know that carbs are not even necessary? There is no single disease which would result from eating no carbs! Just think about that. Going low-carb is the best way to reduce weight. Clean and nutritious low-carb food also reduces anxiety. There are still many possible causes of anxiety after eating but there’s no single cause that has been confirmed yet. It may be due to the sugar content of food, lack of healthy fats, the way how body produces hormones after eating, or due to changes in neurotransmitters one the food reaches the stomach. Don’t put all the blame to your gut. Studies show that there are certain types of foods that actually trigger anxiety and depression. One of these is coffee and other caffeinated drinks. Some people think that caffeine boosts energy levels. That’s a misconception. Caffeine actually inhibits serotonin levels in the brain which leads to feeling irritable and low. It is also a diuretic which makes you go to the bathroom more often. It’s true that caffeine keeps you awake but it also leads you to feeling stressed and anxious. We also need enough sleep to make us feel happy and in a good mood. 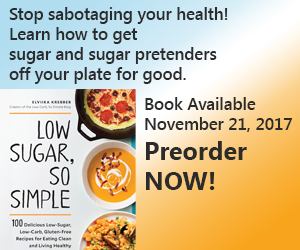 Do you love hot dogs, sausage, pies, cakes, and other processed foods? They can also hurt you. Processed and foods rich in vegetable fats such as canola oil or soy oil boost depression by up to 58% more when compared to fish and vegetables. So to avoid anxiety, skip these kinds of foods. They say chocolates, candies, and other sweets put us in the happy mood. Yes, they do, but just temporarily. When sugar is absorbed in the bloodstream, the body increases the production of insulin to eliminate sugar from the bloodstream. This results to feeling low and tired. Alcohol is one of the worst substances when thinking of anxiety. If you suffer from anxiety, it’s best to avoid alcohol completely. What Can You Eat to Avoid Anxiety? Deficiency in B vitamins such as riboflavin and thiamin trigger depression. So you should include or increase vitamin B rich foods in your diet. These foods include chicken, beef, leafy green vegetables, nuts (especially peanuts, pecans and Brazil nuts), and eggs. Magnesium is also an often neglected mineral which is missing from the contemporary diet. Lack of magnesium can be a reason to a host of different symptoms, anxiety being one of the most prominent ones. Be sure to get enough magnesium by eating dark chocolate or unsweetened cocoa powder, pumpkin seeds, hemp seeds and sunflower seeds. Check out my wildly popular magnesium-bursting Anti-Anxiety Chocolate Bar recipe, I bet you won’t be disappointed! It is also recommended to avoid cereals and grains, not only because the most common ones (wheat, rye, barley) contain gluten, but also because they contain starch (=sugar) and they are not even very nutritious. Omit cereals for one, or preferably for two months to see your individual reaction to them. You might be surprised how great you feel without gluten and grains! Don’t worry about fiber: when you replace cereals with green leafy vegetables and healthy breads made with almond flour, coconut flour or psyllium husks, you get more than enough fiber. Check out this bread recipe for really easy bread, also this one is one of my most popular healthy bread recipes. Protein-rich foods improve the production of norepinephrine and dopamine which act as neurotransmitters that stimulate mental energy, alertness, and reaction time. Good sources of protein include Greek yogurt, cheese, fatty cuts of meat, fatty fish, eggs, nuts, and green vegetables. Don’t eat too much protein, though, as you body handles the excess amount of protein just like sugar. Moreover, there are several other reasons to avoid excess amounts of protein. Avoiding salt is not recommended as your body needs salt. Current guidelines about reducing salt intake have absolutely no scientific background. However, when you use salt, be sure to choose unrefined sea salt or Himalayan salt which contain all minerals. If you use table salt you might end up with high blood pressure. Anything you eat should be nutrient-dense. This means adding foods like sardines, sunflower seeds, liver (a real superfood! ), and kale to your diet. Want to get a cookbook which contains easy-to-make nutritious food? Check my popular Kindle book for everyday recipes with 5 ingredients or less! You can find more delicious 5-ingredient recipes from my other blog, too. Now you know which foods to avoid and which foods to eat so you won’t feel anxiety after eating. Share this knowledge to your friends so they won’t feel anxiety after eating and will spread positive vibes throughout the day. Want to get permanently rid of anxiety and panic attacks? Over 97% got help from this holistic method! Anxiety after eating is often caused and triggered by the gut, acid reflux, and overeating, mostly resulting from the kind of food we eat. So, to induce positive mood, eat the foods that help improve the bloodstream, hormones and neurotransmitters in your body. Also holistic methods together with the right diet can curb your anxiety completely. Check out this only holistic self-help program which has helped thousands and thousands of people to get rid of their anxiety and panic attacks! What Causes Social Anxiety? 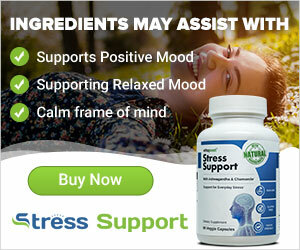 Best Supplements for Anxiety Vitamin D and Anxiety What is Beck Anxiety Inventory?